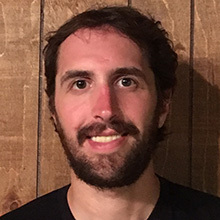 Matt Huber, is a licensed massage therapist in Pennsylvania, who graduated from the Pittsburgh School of Massage Therapy in December 2015. Matt prides himself on supporting his client’s to feel and achieve their best. He especially enjoys working with athletes, assisting clients to work through ailments, and facilitating recovery after an injury. He has worked with a diversity of clientele ranging from on-the-go mothers to weekend warriors to the Pittsburgh Steelers. By getting to know each of his clients, he develops a personalized plan to create a session suited specifically for each client. He incorporates a mix of modalities and techniques including Swedish massage, Neuromuscular Therapy (aka Deep Tissue or Trigger Point Therapy), Myofacial Touch, Reflexology, and Reiki. The customized bodywork session is based on the client’s life style, goals, and personal needs. Don’t just get a massage, get the massage that is the best for you!